We offer several services to help you achieve ideal wellness. Treating both acute and chronic conditions, naturopathic treatments are chosen based on the individual patient – their physiological, structural, psychological, social, spiritual, environment and lifestyle factors. In addition to diet and lifestyle changes, natural therapies include botanical medicine, clinical nutrition, hydrotherapy, homeopathy, and traditional Chinese medicine/acupuncture. Bioresonance therapy is designed to activate the body’s ability to regulate and heal itself by treating imbalances caused by irritants, toxins, pathogens and environmental pollutants. Conceived of and developed in Germany, the Mora NovaTM is one of the world’s leading devices in providing bioresonance treatments. Initially the Mora NovaTM is used to evaluate an individual’s frequency patterns in the form of oscillations (electromagnetic waves). Those patterns are then compared with the harmonious patterns stored within the Mora’s database. When frequency patterns within the body are determined to be stressed or unhealthy (typically by causing allergies, food intolerances and other imbalances) the Mora Nova delivers individualized therapies to treat and invert the harmful frequencies until healthy patterns are restored. 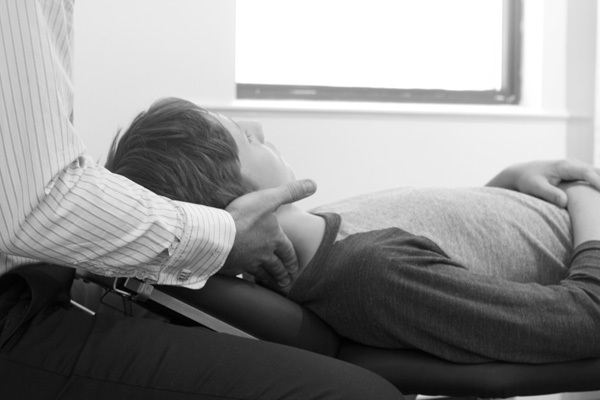 Chiropractic medicine involves hands-on, gentle manipulation and stretching of the body to align the spine and to promote a healthy nervous system. The nervous system connects every cell, tissue and organ to your brain, which controls the body. Restoration of a flexible, mobile and aligned spine enables the body to strengthen the joints and muscles and allow flow within the nervous system. This therapy helps the body to reach optimal function. Homeopathy is a complete system of medicine, which works to improve your overall wellbeing. It does this by stimulating the body’s immune system to relieve symptoms and support your body in its ability to heal itself. Homeopathy treats the whole person; physical, mental and emotional symptoms are all taken into consideration, which makes treating each individual very unique. Homeopathy is based on the laws of similars, “like cures like”, where a substance that can cause symptoms in a healthy person, can have the ability to heal those symptoms in a sick person. Homeopathic medicine, known as “remedies” are made from natural substances; sourced from plant, animal and mineral kingdoms. They do not have the side effects of many traditional medications and are safe for everyone; specifically children, infants, pregnant and nursing women. The key principle that defines and connects all of Chinese medicine is that of Qi, or vital energy. The Qi of all organs must be in balance, neither too active nor too dormant, for a person to be healthy. The Qi of the body’s organs and systems are all connected in meridians or channels that lie just under the skin. A Naturopathic Doctor will use Eastern herbs and acupuncture to assist the body in regulating the Qi and achieving balance. Acupuncture is the use of very thin needles which are inserted into specific meridian points. The practice of acupuncture has been around for over two thousand years and has proven to be very effective especially for pain relief and chronic illness. We use massage therapy to enhance relaxation, increase flexibility, improve posture, reduce pain and tension, treat injury, promote healthy pregnancy and delivery, reduce anxiety and depression and to treat a variety of medical conditions. We also provide education resources and self-care tips to optimize your treatment. There are many issues that psychotherapy can help with: building self-confidence, communication skills, coping skills, motivation and parenting skills. Depression, anxiety, ADHD, questions around sexuality, shame, grief, bereavement and loss, infertility, life transitions, trauma and crisis.